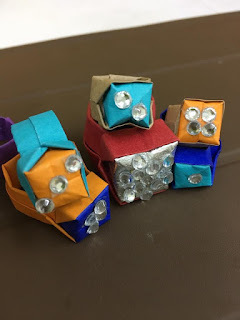 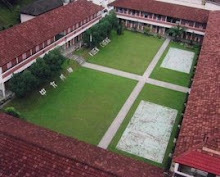 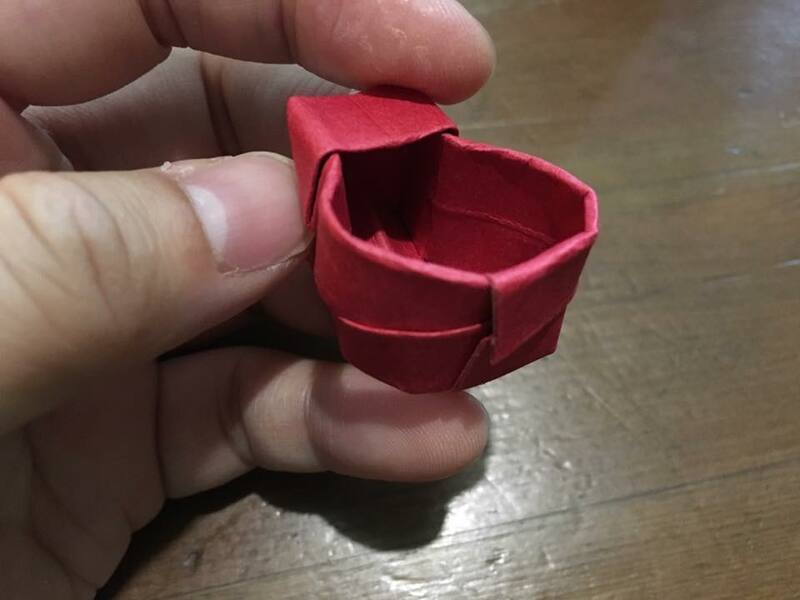 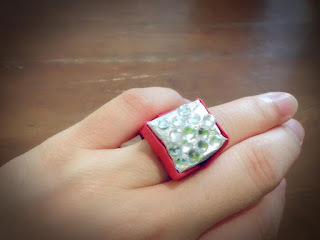 Teaching children to make origami ring is fun, they will have much fun making tons of them. 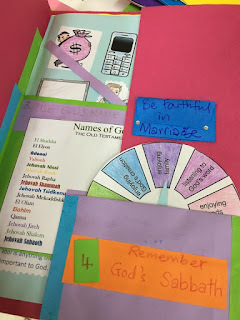 This is part of 10 commandments lapbook, I made a small envelop to keep two origami rings in it, sealed with two diamond stickers. 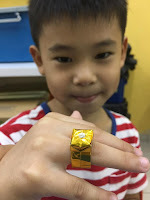 Here is the video I made during the class. Hope the explanation is clear enough for you. 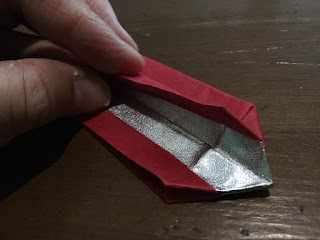 However I have tutorial on pictures below. 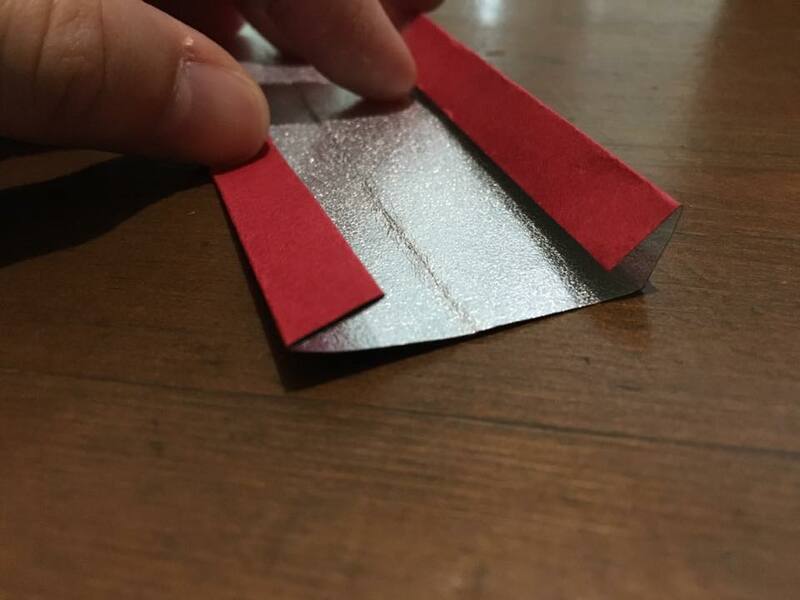 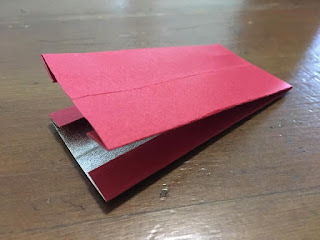 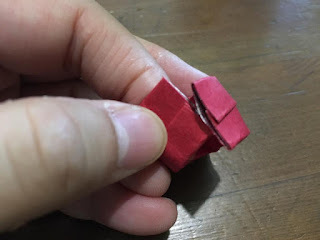 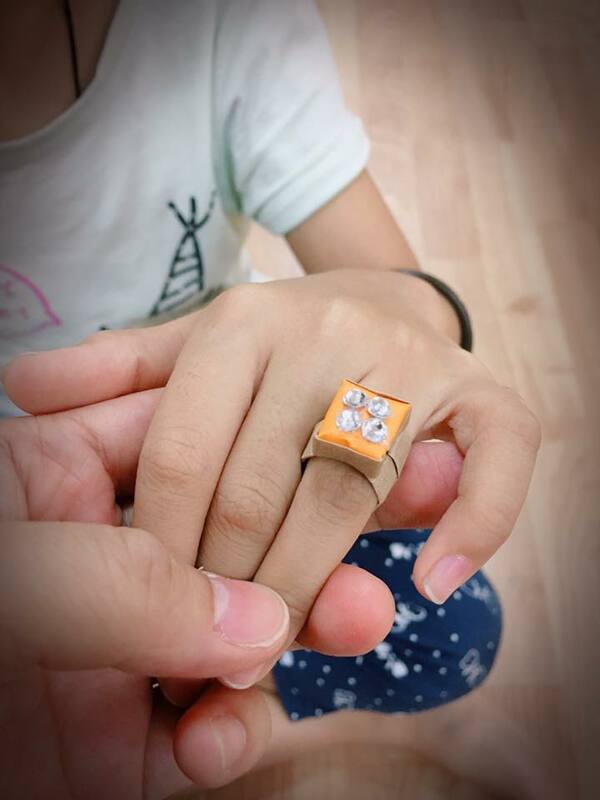 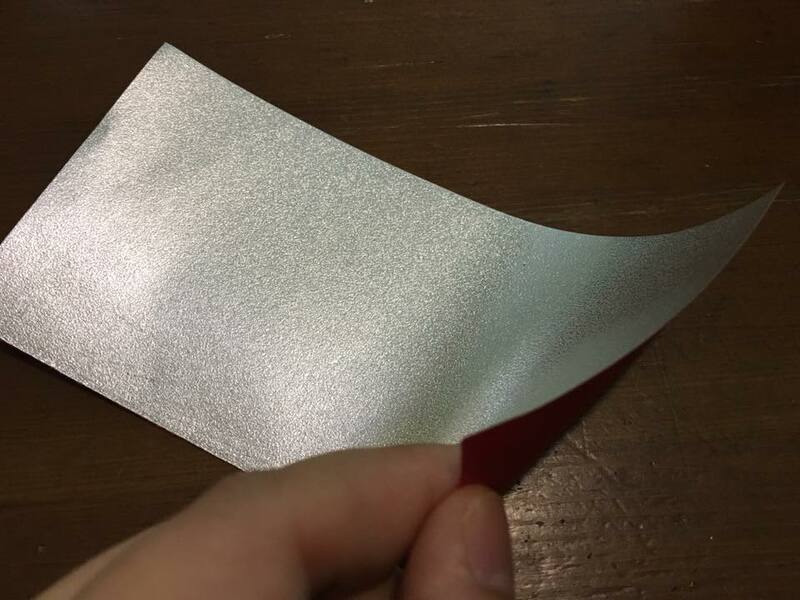 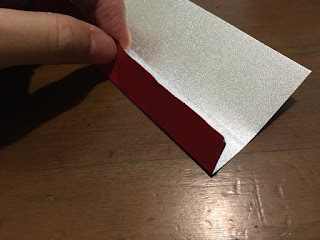 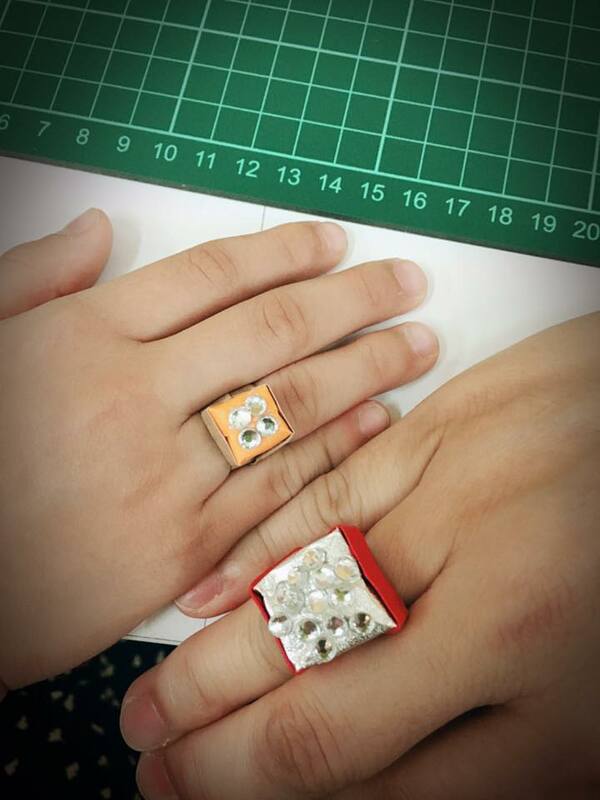 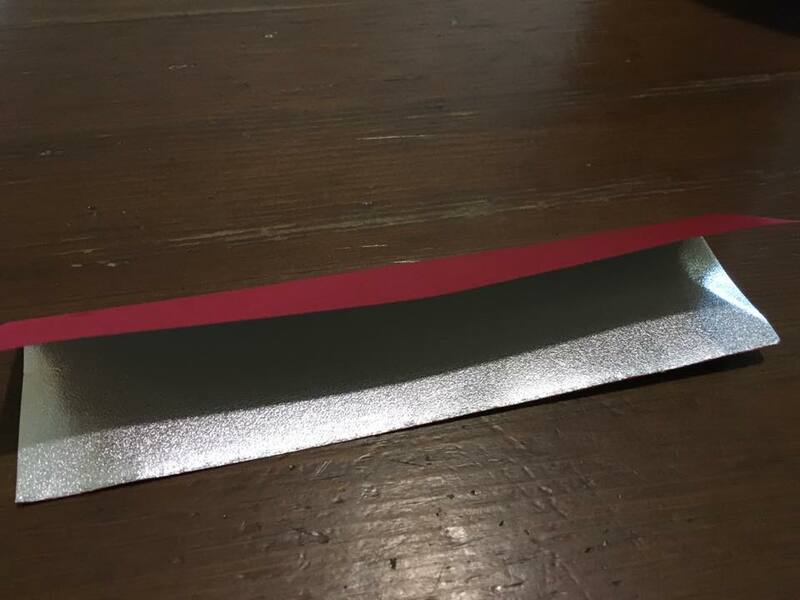 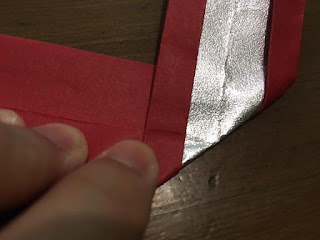 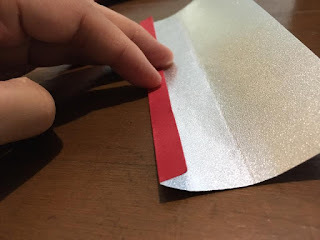 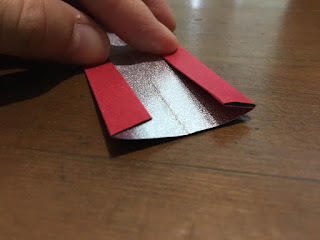 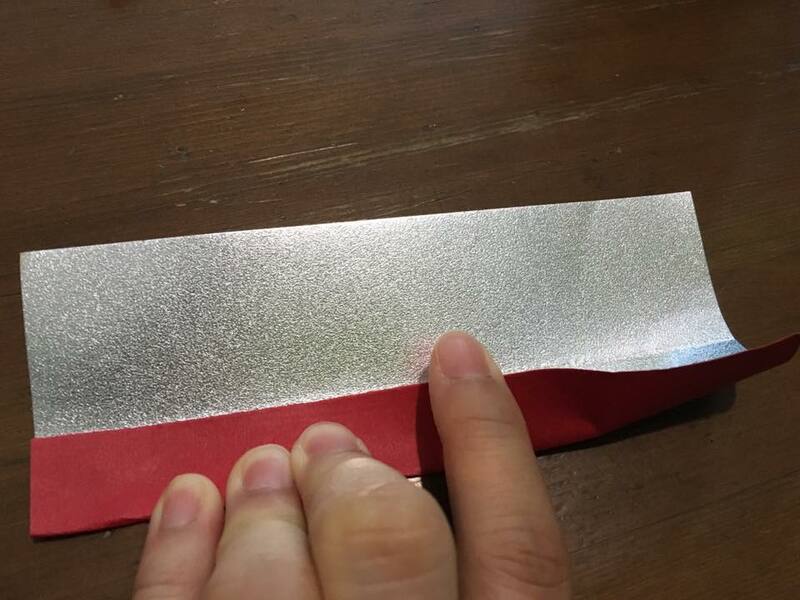 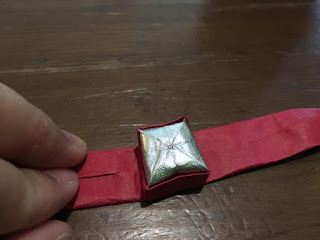 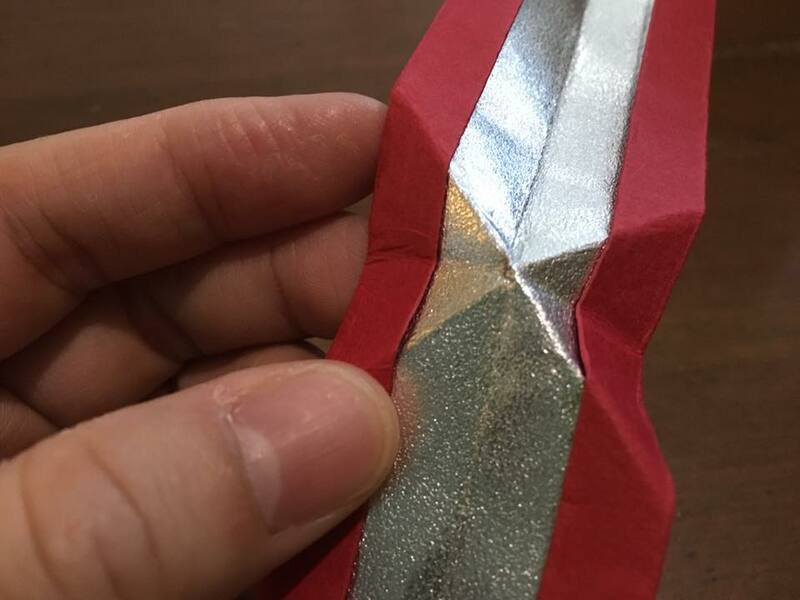 For children, they just need long strip of 8cm x 5cm to have duo sided effect, you will need another small piece of paper size in 2.5cm x 3cm as shown in the Origano Diamond Ring tutorial video. 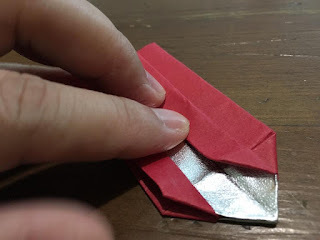 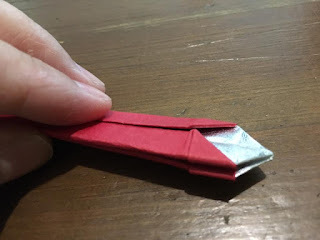 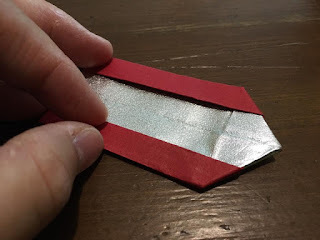 Fold half to make a clear folding line. 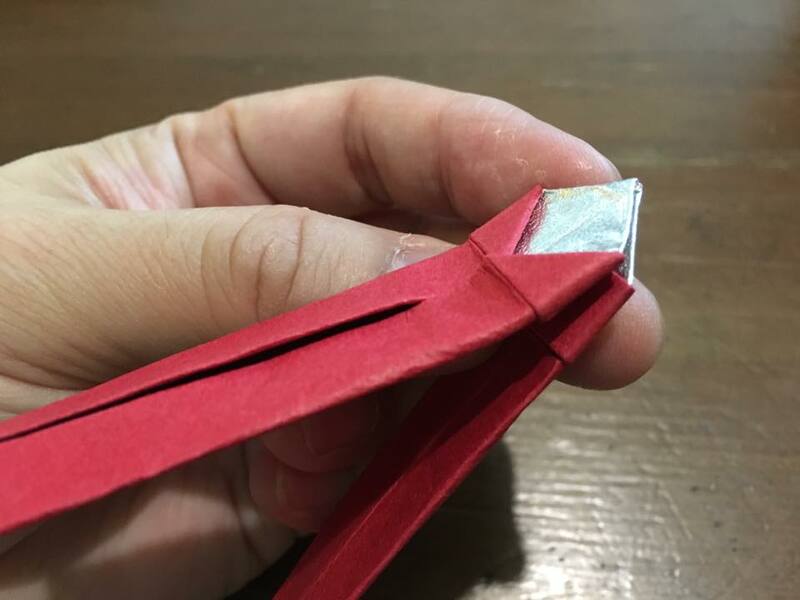 Open it, and fold another half to get the folding line clear. Now, make the quarter fold this time. 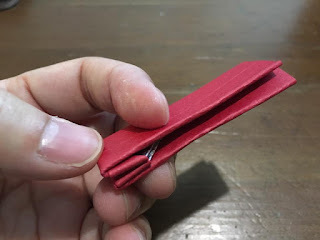 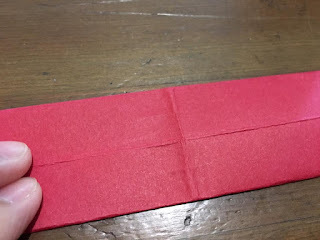 From the quarter fold, fold up to the half folded line. 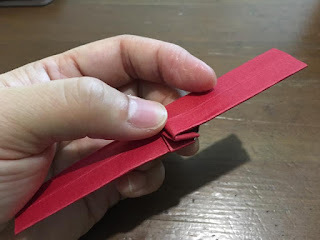 fold both ends together to get the center folding line. 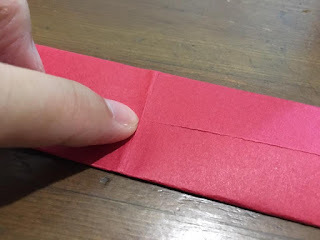 Here is what you should get. Using a finger to mark the center point. 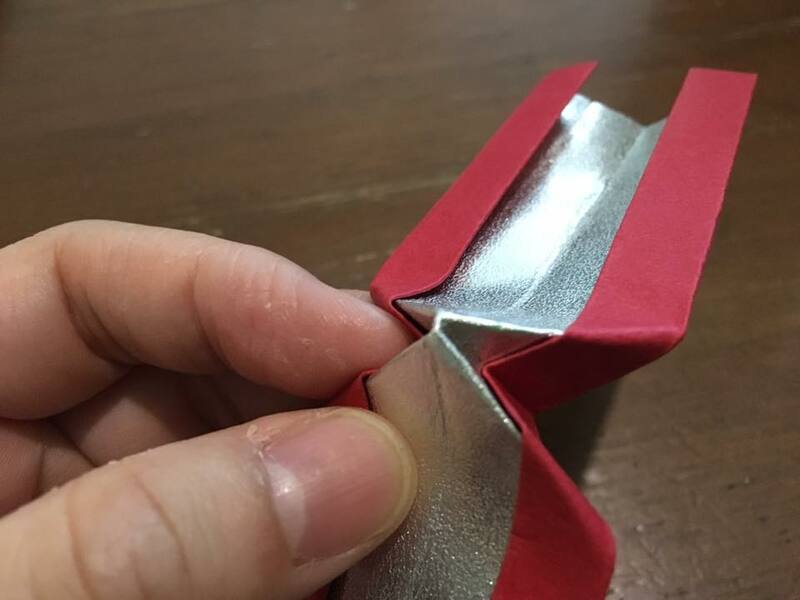 Turn paper up to make diagonal fold, keep the center be the center point. 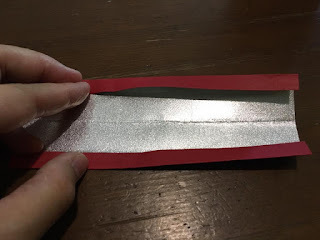 I bought diamond stickers from Daiso.